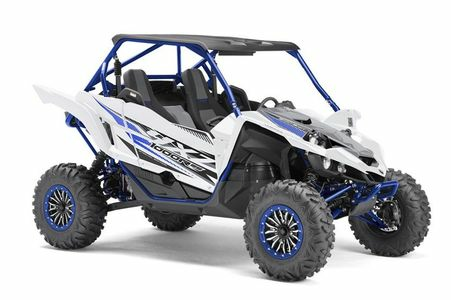 The long anticipated release from the originators of the UTV is here; the Yamaha YXZ1000R. Designed to be the first pure sport UTV brought to market the YXZ1000R has certainly made a splash. As with all new vehicles, manufacturers look at at the YXZ1000R as an empty canvas waiting to be painted. As soon as the YZX1000R hits dealers there will be a bevy of new parts and accessories for it. Here at Side By Side Sports we are proud to offer a full line of both factory and aftermarket accessories for the YZX1000R. Regardless of whether you are looking for Yamaha Bumpers, EMP Windhsields, STI Rims or Maxxis Bighorn Tires we will have the parts you are looking for. We have one of the largest selections of YXR1000R parts anywhere and are happy to accommodate any questions you have about the parts.